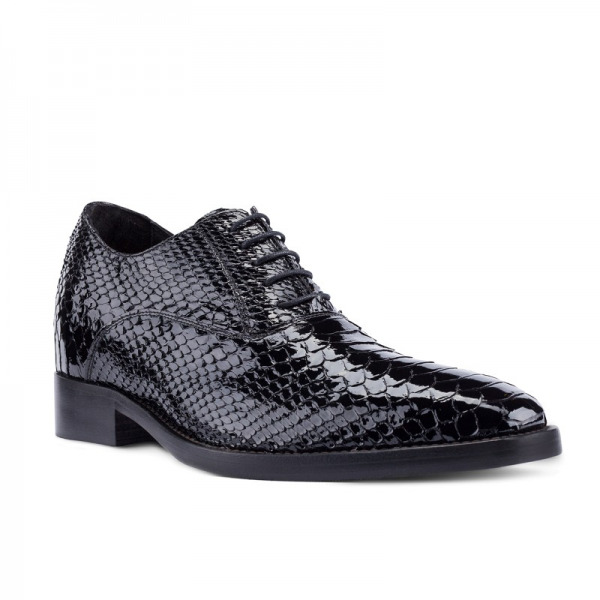 The Guido Maggi Madagascar is a python patent leather shoe featuring an inner lining of soft goatskin an insole and midsole made of real leather and the leather outsole made with anti-slip qualities rubber. Handmade in Italy. The inner height increaser can be chosen to increase height by 2.4 inches 2.7 inches or 3.1 inches. 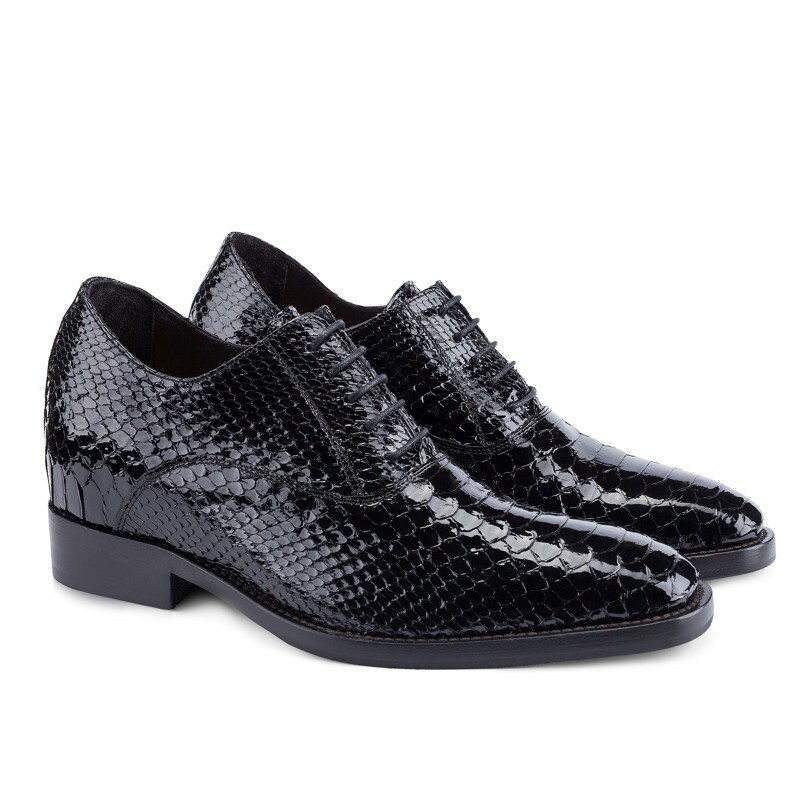 This shoe can also be made without any height increase if desired. 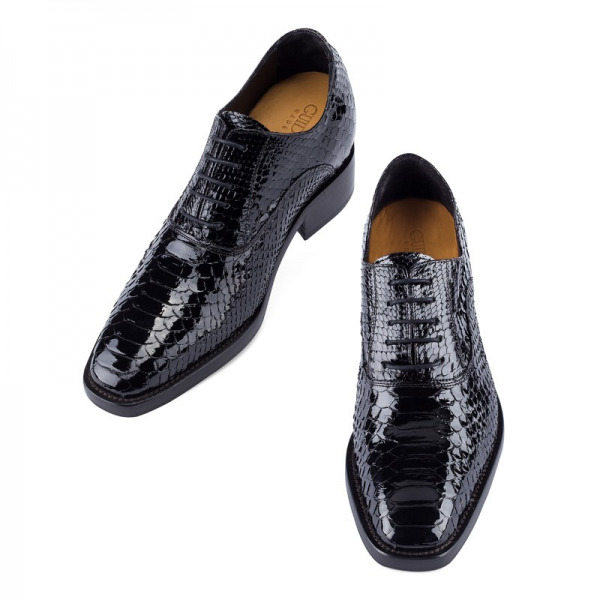 Guido Maggi shoes are special order / made to order shoes. Please allow approximately two weeks for production of your shoes at the Guido Maggi Italy factory. 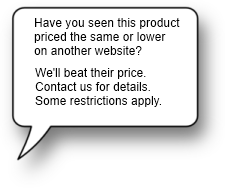 Shoes can be exchanged for new size, as a special order there are no returns for refund.